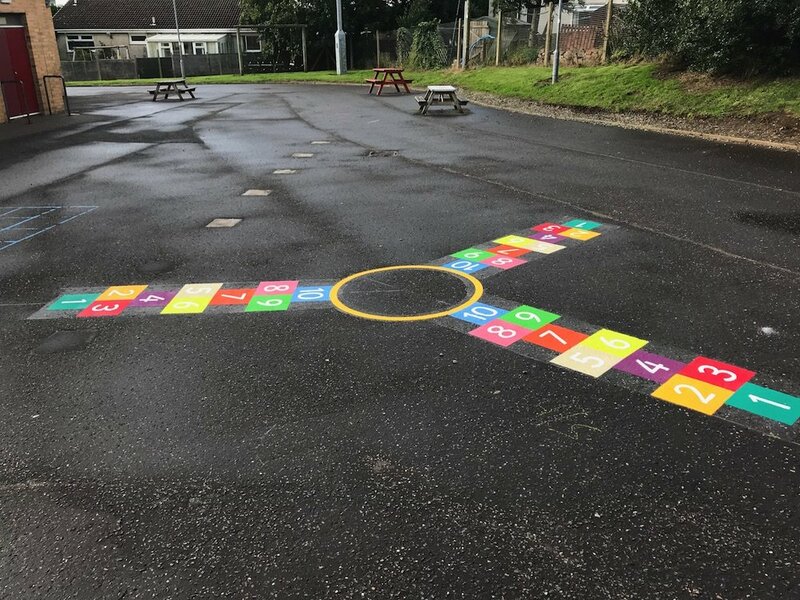 first4playgrounds have introduced a new range of alphabet playground markings to help teach children joined up writing and understand the way letters are placed above, below and on the line when written. 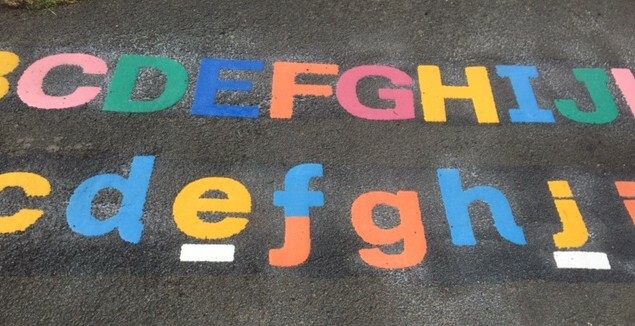 The letters are colour coded to make it easy for the children to recognise the different groups of letters. 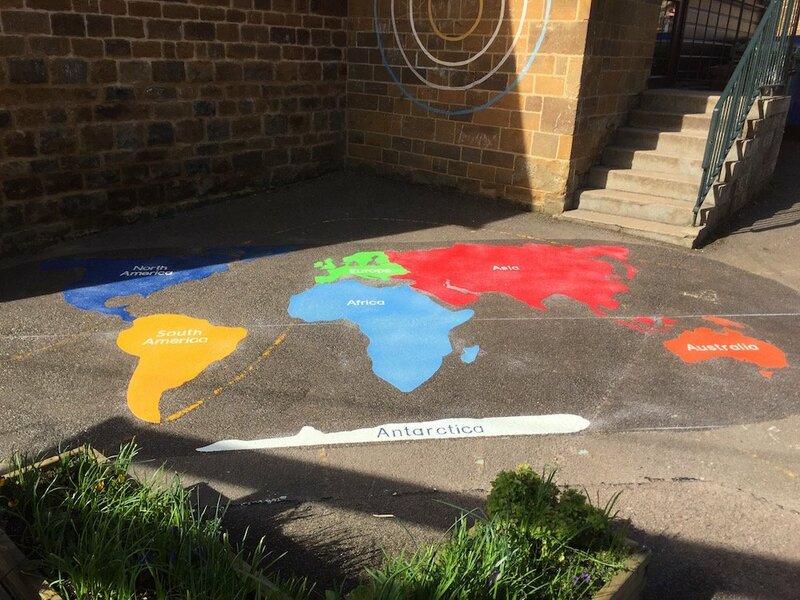 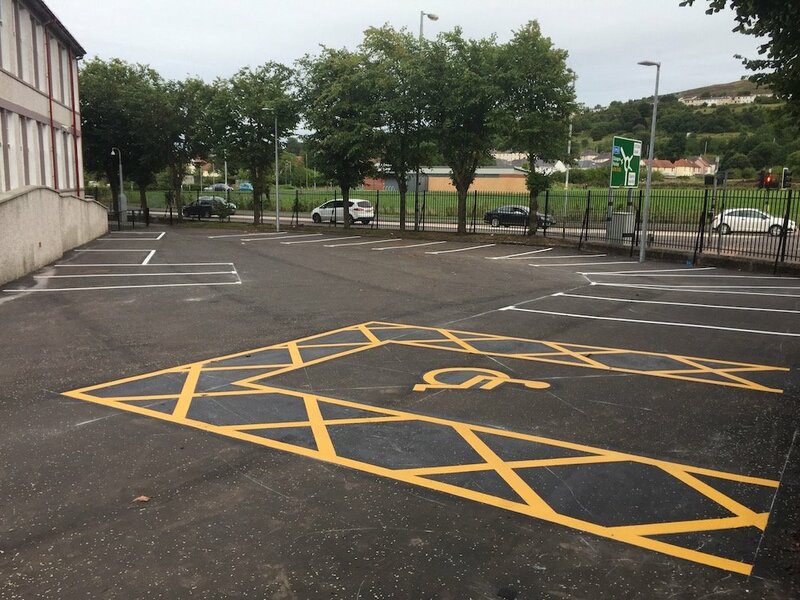 We have just installed these markings at Walton primary school in Northumberland and hope the children enjoy the markings and learning through outdoor play. 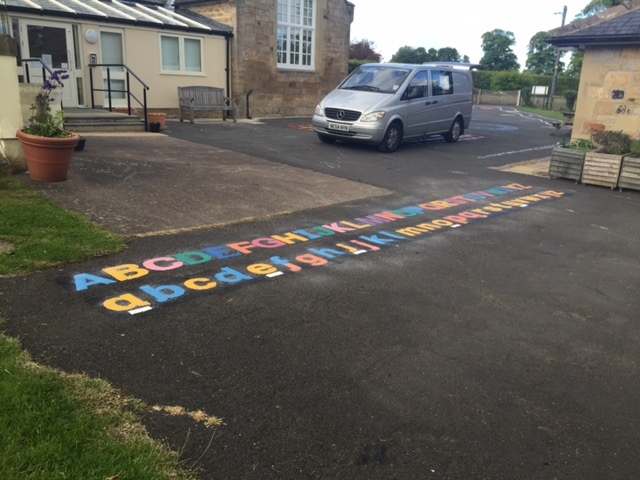 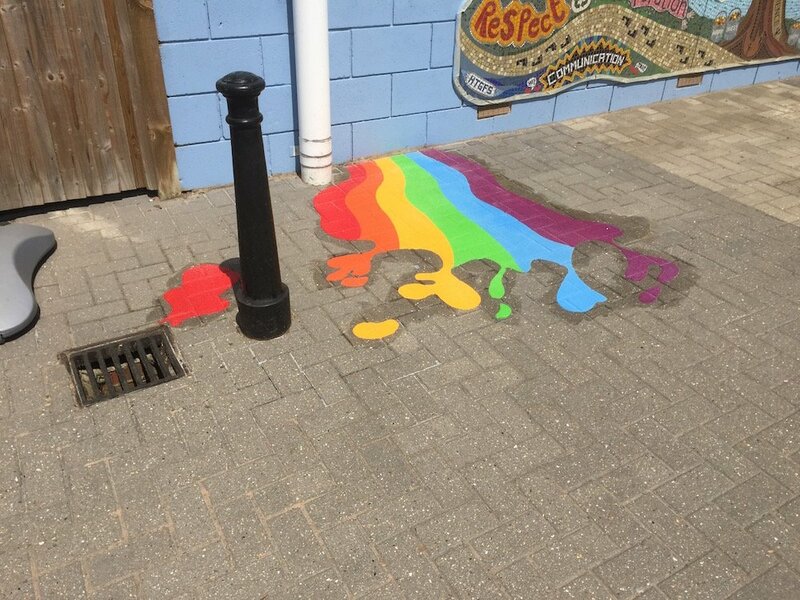 Please visit our website for more information on our literacy playground markings. 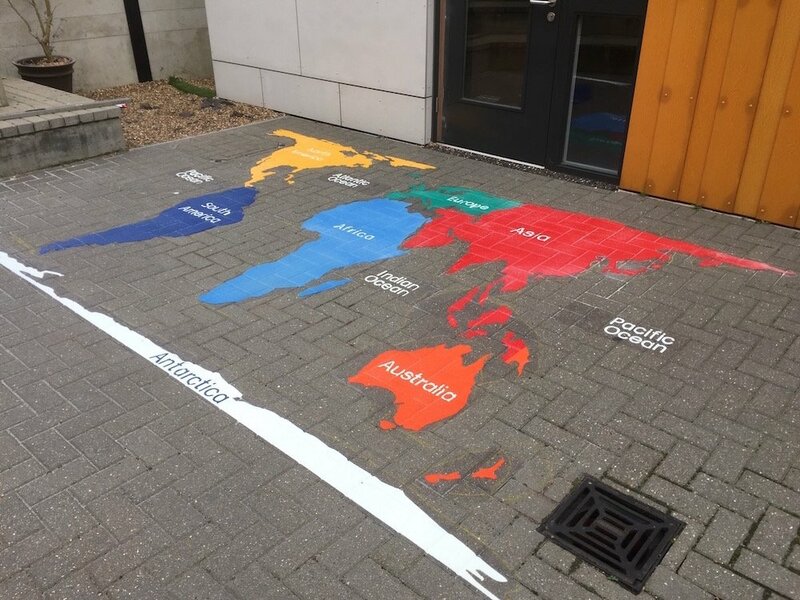 We can also design bespoke makings to meet your literacy and numeracy school curriculum requirements.